Today, LEGO® Education announced LEGO® Education SPIKE™ Prime, the newest product in the LEGO Education hands-on STEAM (Science, Technology, Engineering, Arts, Math) learning portfolio. SPIKE Prime brings together LEGO bricks, a programmable, multi-port Hub, sensors and motors, powered by the SPIKE app based on the Scratch coding language. The SPIKE app includes lessons aligned to certain standards and many being able to be completed within a 45-minute class. Each SPIKE Prime set has 523 pieces which can be used to build many different creations including corresponding STEAM lesson plans that were created by and for educators. 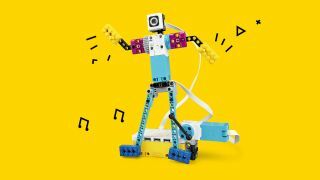 LEGO Education is providing a Confidence in Learning toolkit and workshops to schools around the world with its continuum of hands-on learning products, including SPIKE Prime. LEGO Education learning experts will help teachers incorporate hands-on STEAM learning into the classroom to engage all students and promote building their confidence in learning. LEGO Education and the LEGO Group have also created 11 new elements for the LEGO System in Play, which will be first seen with SPIKE Prime. These new elements include an integrator brick, which allows for building together with both the LEGO Technic and the LEGO system platforms. The new product will be ready for purchase in all markets in August 2019. Learn more at https://education.lego.com/en-us.